The Nadi set of 4 green bamboo bowls is made from an environmentally friendly combination of materials that is 85% ‘green’. The Habitat-exclusive set has a matt finish and is made from 70% bamboo fibres and 15% vegetable extracts, with 15% Melamine for added strength. 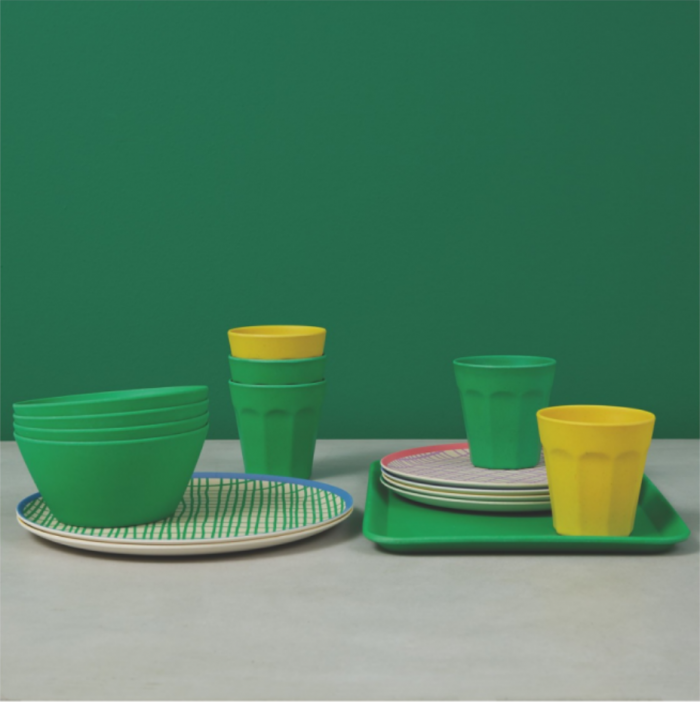 The Nadi picnicware range includes patterned plates in 2 sizes, and tumblers, bowls and a tray in plain block colours. Out of stock online, available in Habitat retail stores.